There are multiple artists with this name: 1) Grunt was formed in Finland in spring 1993 to create hard audio filth. After nearly 20 years of activity, it is still going strong. Various styles of noise electronics is always hammered with such pressure, it usually transforms into known grunt-noise, even if new methods are used. Grunt is also known from using strong visuals and lyrics in many of the releases. They represent various moods and approaches and different kinds of topics. 1) Grunt was formed in Finland in spring 1993 to create hard audio filth. After nearly 20 years of activity, it is still going strong. Various styles of noise electronics is always hammered with such pressure, it usually transforms into known grunt-noise, even if new methods are used. Grunt is also known from using strong visuals and lyrics in many of the releases. They represent various moods and approaches and different kinds of topics. However, many of them have proved to offend or disturb some people, including the videomaterial used in live shows. 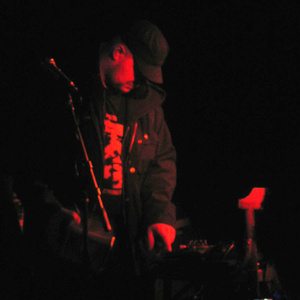 Since early days, Grunt has been part of the international underground power electronics/noise scene. There has never been desire to attract attention in academic noise circles, or promote it in media outside the core of noise-underground. However, neither there is desire to follow genre restrictions. Grunt is tightly connected to the vision of Freak Animal Records and has also handful of other forms what can be understood as bands of their own or branches separated from the main project. All releases are small editions directed for disturbed fanatics. 2) Grunt is a goregrind outfit from Portugal. They were formed in 2010 and they released their debut album "Scrotal Recall" in 2011. 3) Grunt was a thrash metal band from New Jersey, USA. They released a self titled demo.